My review of Mariah Carey's new line from OPI. The reflective sand in it gives a slight sparkle that really shows up against the matte color. It was a bit rough at first but with in the first two days smoothed out and wasn't annoying. It wore well and didn't chip or peel. Now came the next question everyone had asked me.....How easy was it to take off?? 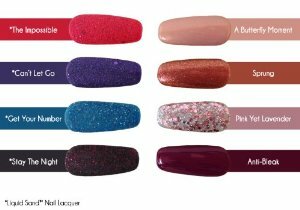 We have all had the glitter polish that just didn't want to give up the fight and leave our nails. Not a problem with this polish! It came off fairly easy and didn't leave color or sparkle behind! I give this polish a big thumbs up. It also got a lot of attention! Everyone wanted to know what it was! !